It’s shocking to hear that from my patient as the “famed” Q-switched 1064nm laser DOES NOT achieve the above at all. Do you do weekly Q-switched “maintenance”? Good luck. Don’t get me wrong, the Q-switched Nanosecond 1064nm ND:Yag laser (AKA Revlite, SpectraXT, Fotona QxMax) is actually GOOD for brown pigmentation. The PROBLEM comes when patients start using Q-switched for pores, pimples, wrinkles and saggy skin. For the Q-switched to have ANY effect at all on the above, it MUST to be used very frequently and at high settings. 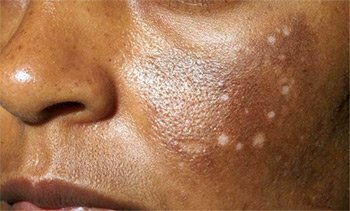 This causes darkened spots on your face, or worse; permanent white spots! 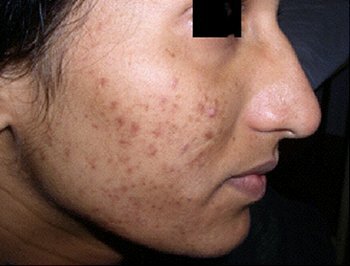 Looks like acne but its actually Hyperpigmentation! IF YOU START TO NOTICE TINY WHITE/RED DOTS ON YOUR FACE, STOP YOUR FREQUENT Q-SWITCHED IMMEDIATELY!!! The reason for this is because the Q-Switched laser generates photoTHERMAL effects, leading to HYPER and HYPO pigmentation (PIH). It’s a laser that is designed for INFREQUENT USAGE! Use it carefully, and sparingly, only for brown pigmentation removal. Q-switched nanosecond lasers shouldn’t be done lifelong. Once pigmentation woes are solved, other lasers help much more with face care/aging maintenance! 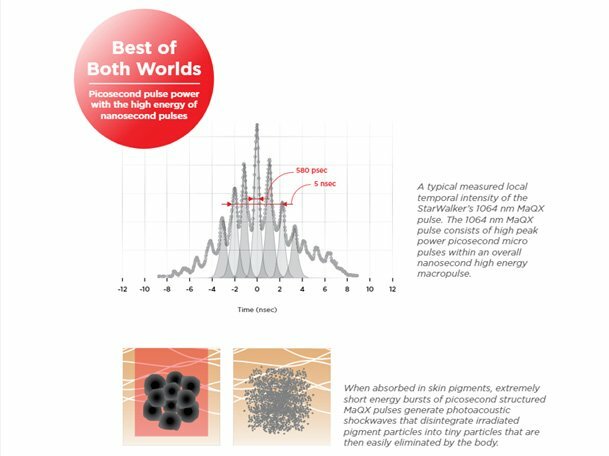 A better choice for pigmentation, in my opinion, is the PICOSECOND laser as it generates lesser photoTHERMAL effects and more effective photoACOUSTIC effects. (1). To further reduce this negative heat, I usually use a Zimmer Skin Cooler to ensure safety and comfort during my Picosecond laser treatments. However, do remember that this is again only an option for treating PIGMENTATION. Do NOT start to use PICOSECOND lasers for frequent face maintenance or you’d destroy your skin! So Which Lasers Work for Wrinkles, Pores, Saggy Skin? 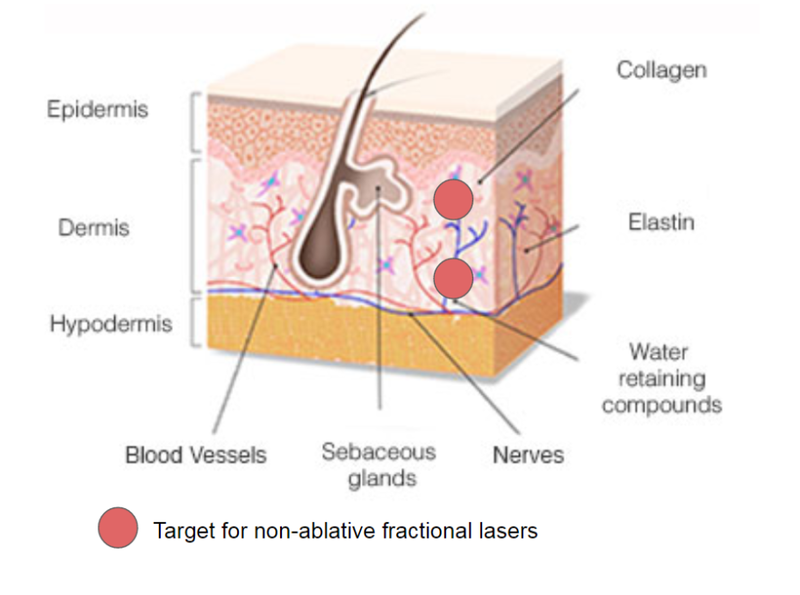 I always tell patients: Collagen is found only in middle and deeper layers of the skin – so why use lasers that strip the surface for collagen stimulation!!? They accurately target the correct elements in the skin for collagen growth. No Fractional RF/CO2 side effects since they don’t burn the skin. Much lower downtime. Only a mild redness after each session that lasts a day to a week. No risk of hyperpigmentation since it doesn’t target melanin. 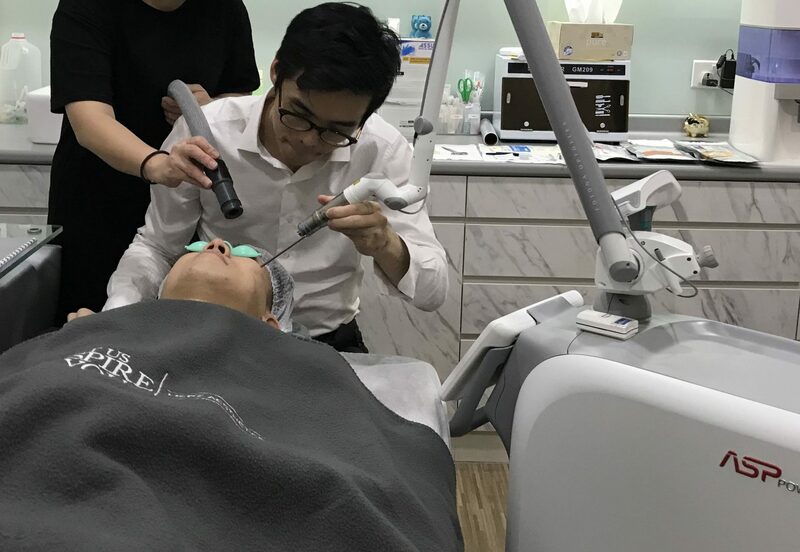 The Fractional Thulium laser is effective against wrinkles, scars, pores and even pigmentation such as solar lentigines, freckles and melasma. Not just a normal Picosecond laser but a FRACTIONAL one. It’s the latest non-ablative resurfacing and promises to bring wrinkle and scar treatments to a completely different dimension. (5). Why aren’t more clinics using these lasers? Picosecond, Q-switched, Fractional CO2, Fractional Thulium, Fractional Erbium-Glass, Fractional Picosecond… we’re talking about 6 or more lasers here. Assuming each laser costs $100k, that’d be upwards of $900,000(!!!) for the full set up. Not every clinic will invest in the best laser setup if using something less effective costs 20% the price. For me, I like to use a combination of Fractional Thulium, Fractional Erbium-Glass, Fractional Picosecond (each has its own advantages) to achieve a multi-layered treatment plan that saves money and time. However, not all clinics use so many lasers so make sure you call and find out before committing. 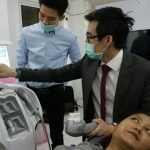 If you’re interested in more about lasers, I wrote a very comprehensive laser guide for DoctorXDentist here. But at the very least, don’t use the Q-switched laser for anti-aging or ‘facial maintenance’ anymore! Nikalji, Nanma, et al; Complications of medium depth and deep chemical peels; Journal of Cutaneous and Aesthetic Surgery, vol. 5, no. 4, 2012, p. 254. Whatsapp, Wechat or Text me at +65 8858 6689 for a faster response. Alternatively, you can also submit your enquiry below. 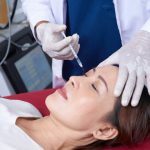 DrCYChua.com touches on some of the more popular yet controversial topics in the world of medical aesthetics. In my day-to-day role as an aesthetic doctor, I encounter many patients who either have been led to belief half-truths or have personally had a less-than-happy experience. Hopefully, the information on this blog will afford consumers more insights into various treatment related topics and help you make more informed decisions. Questions? Ask Dr Chua here.